Today I’m on the roof of Selfridges, that stylish store in the middle of Oxford Street. 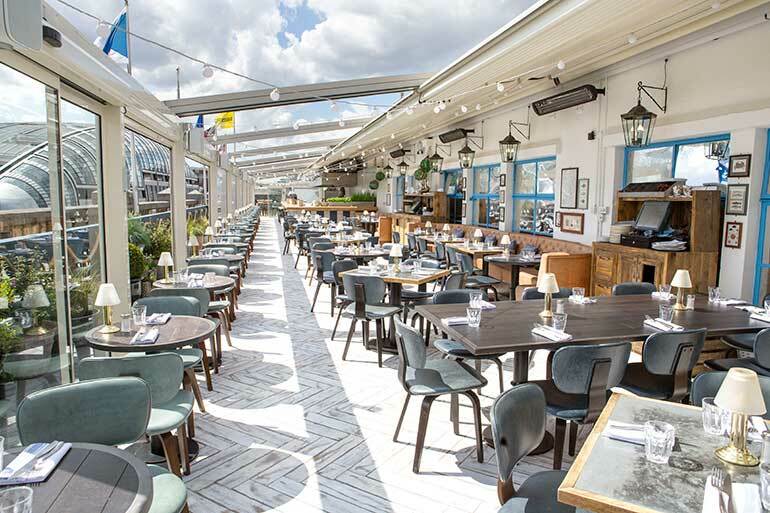 Vintage Salt is a new addition to this summer’s alfresco offerings, the London outdoor lifestyle continues to grow and I’m loving it. And this is the perfect place to refuel mid-shopping, a peaceful haven high above the hubub of London’s busiest shopping street.. The decor is kind of seaside village with plenty of whitewashed wood and blue trims. The menu offers a good range of seasonal dishes and the service is warm, friendly and efficient. And the food is lovely. 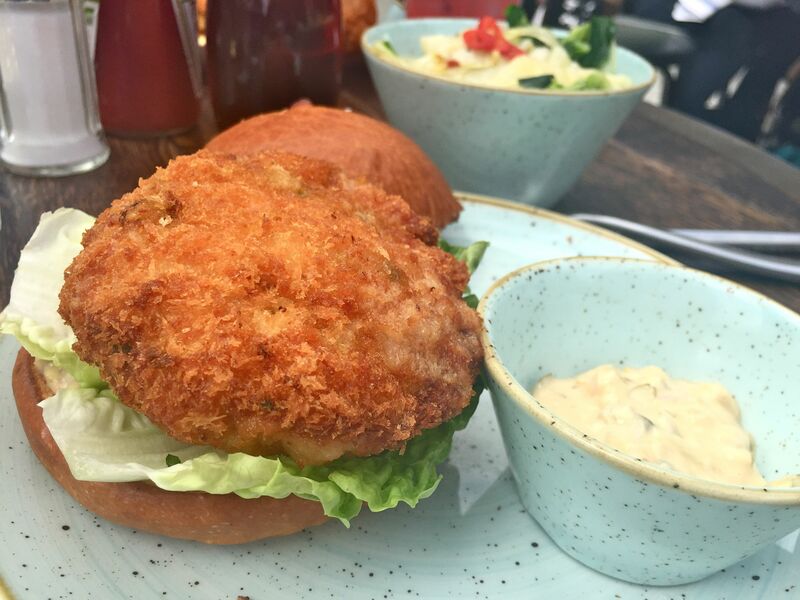 My shrimp burger was plump and flavoursome with good chunks of shrimp, a crispy crumb and a lovely spicy tartare sauce on the side. The fish and chips was a substantial portion and came with more tartare sauce and mushy peas. One of the nicest pieces of fish I’ve had in a long time, it was sweet and moist inside with the most perfect of light and crispy batters. 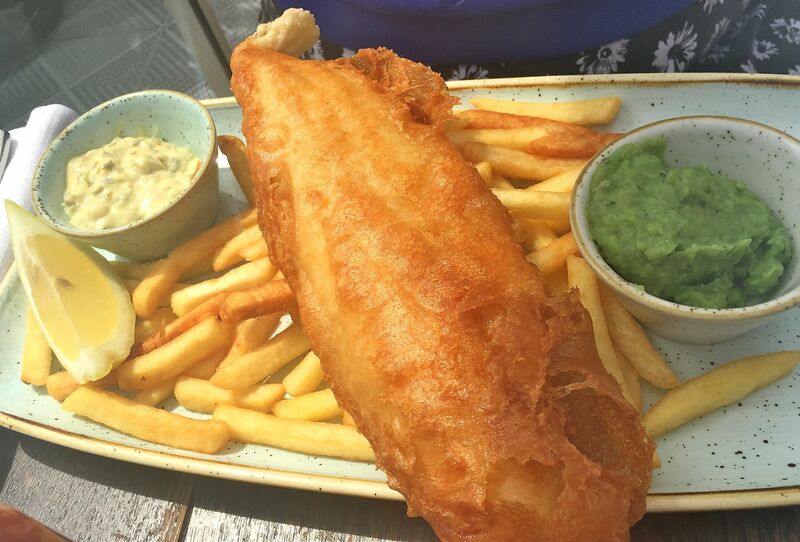 Now this is what fish and chips is supposed to taste like. Here’s a good view of the roof terrace, looking very welcoming. 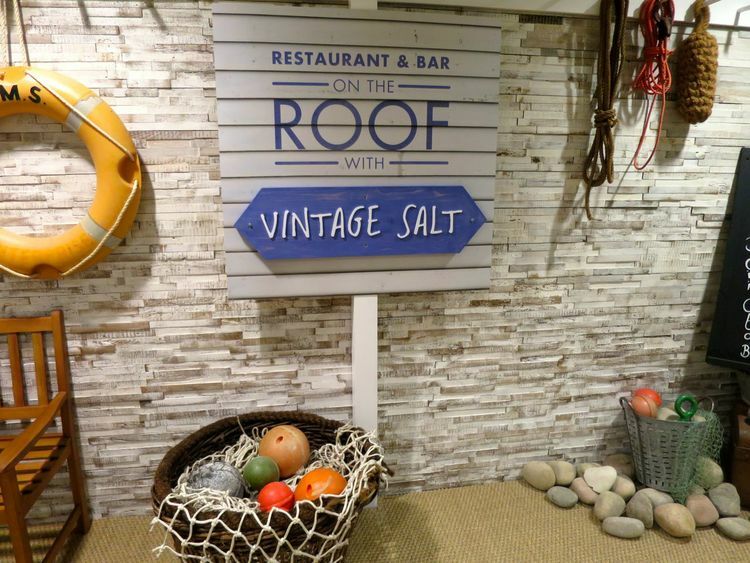 Vintage Salt is on the Roof at Selfridges, 400 Oxford Street, W1.